The rallying words of Sir Henry Royce almost a century ago to his and CS Rolls’ employees ensured they strived for perfection in all they did, making certain that arguably the most famous of luxury brands, became renowned for crafting the finest cars in the world. Goodwood in March 2012 and that same phrase is uttered by Andrew Ball at the launch of this latest flagship of the iconic marque. Not an all-new range of fine motor cars but such a significant development over the previous model, its name is suffixed ‘Series II’. Welcome to the latest Rolls-Royce Phantom. Just a few short months after vanquishing Maybach and consigning the über-luxury German rival to the annals of motoring history once again, Rolls-Royce has demonstrated why it remains at the pinnacle of motoring hierarchy. At first glance, the Series II Phantom looks little changed from the original saloon range which re-launched the marque under BMW’s stewardship back in 2003. For a brand as respected as Rolls-Royce, with a very loyal (and growing) customer base, this is no accident. Early adopters of Phantomship know exactly what they want in terms of representing their status and subsequently changes have only been made for the Series II where those modifications would enhance what was already there. Again, taking the best that exists and making it better. How exactly has Rolls-Royce improved upon what for many represents the ultimate expression of automotive luxury? Most obvious are the modifications to the upright prow, with the latest technology LED headlamps flanking the iconic Greek temple grille. The circular spot lamps have been replaced with two on-trend rectangular slithers of bright white light, which Rolls-Royce claims to be the first fully LED light installation on a production car. In addition to the sharper, brighter illumination qualities, the new headlamps incorporate curve light functionality for improved cornering visibility. 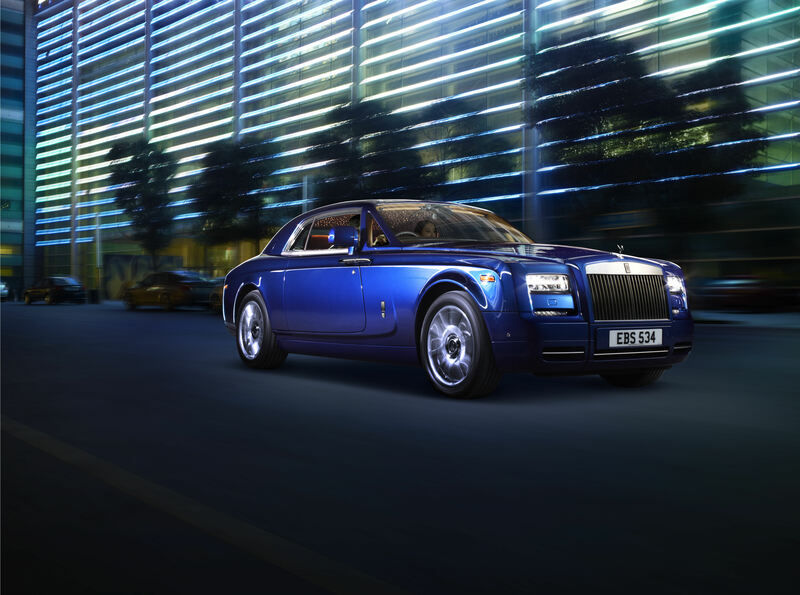 Coupé and Drophead Coupé Phantom Series IIs continue to offer a more distinctive grille surround, now with a modified single-piece fitting which can be colour-coded or with the aluminium finish that continues up through the bonnet and windscreen surround, as though milled from a solid billet. The Phantom’s enormous wheels, 21” on the model we were shown which will soon be winging its way to Beijing as the main exhibit on Rolls-Royce’s stand in China, are now offered in three new finishes on the Series II, still with the trademark self-uprighting double-R logo. Avid Rolls spotters may also notice a subtle but elegant re-styling of the bright work banding around the window-line, with an extended rake of the polished metal as it leads to the rear pillar. It’s such a minor change that it’s easy to miss, but the bulk of that pillar is now more slender from the outside, yet from within, still offers significant inches of hiding space for shy and retiring rear seat dwellers. Completing the main exterior highlights is a new rear bumper on the saloon, which lightens the visual heaviness of the back of the car, with a polished stainless steel strip accentuating the width of the car. Inside, aficionados of the Goodwood-marque will notice that all body-style variants of the Phantom Series II feature a trio of pleats on the seats, a feature that the craftsmen and women in the Rolls leather workshop pride themselves in producing. On the outgoing models, the saloon had five pleats, whereas the two-door versions were essentially smooth. Pleats are clearly en vogue in 2012. No other car manufacturer can remotely come close to what Rolls-Royce can achieve with timber in terms of creating a beautiful interior, skills which are still very evident in this latest Phantom. New wooden mouldings have been fashioned in order to accept a wider satnav screen, featuring 3D views, satellite images and landscape topography. Naturally, such a modern vulgarity revolves out of view when not required, allowing your eyes to luxuriate in yet more quality veneer and an exquisite analogue clock. The new rotary controller, complete with chrome finish, manages to hide its BMW iDrive origins yet is more intuitive to use than before; the techno-makeover is complemented by a new smartphone cradle. Again, changes to enhance the Phantom experience rather than for changes sake. Lift the vast vault-like bonnet of the engine room and the BMW-derived 6.75-litre V12 engine has been given a makeover resulting in a 10% drop in fuel consumption, as well as a deduction on CO2 emissions from 385 to 347g/km. In order to increase the serenity of the driving experience, a new eight-speed automatic ZF gearbox (with column-mounted selector, naturally) is fitted and mated to a new rear differential promising an even smoother, bump-absorbing ride quality. 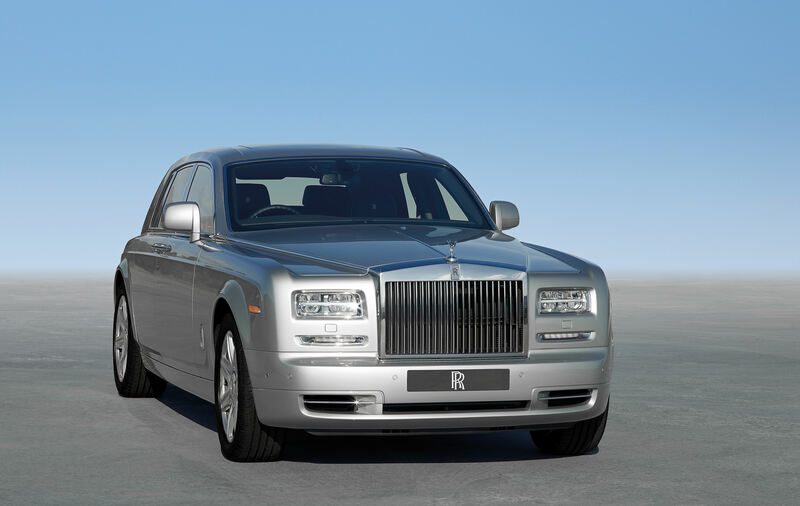 2011 proved to be a significant year for Rolls-Royce with sales increasing year on year by 31%, a staggering achievement in a world still crippled by recession. 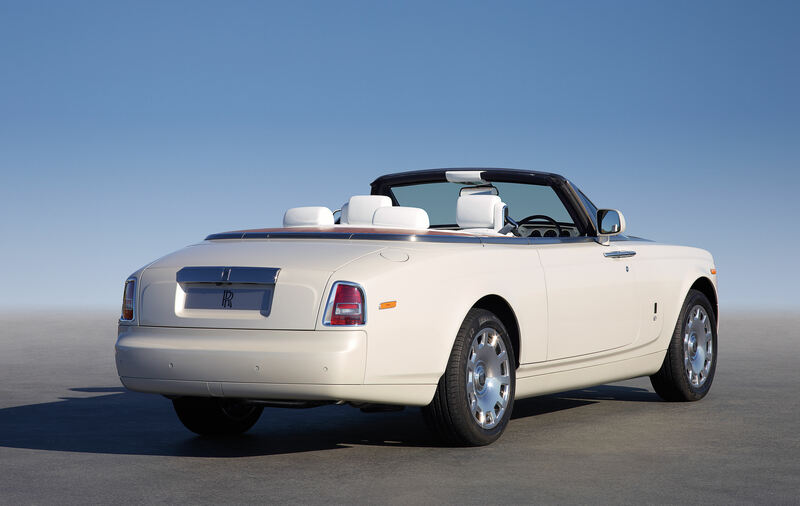 The Phantom Series II can only increase demand further, especially as its prime adversary will soon be no more.